I recently received a package of cigars from Miami Cigar. Inside were 6 different varieties of a Mid-Atlantic regional exclusive release for a new vitola in the Preferidos lineup. The offering will include the original Preferidos blend, draped in each of the six wrappers (Brazilian sungrown (Ruby), Cameroon (Platinum), Connecticut (Sapphire), Connecticut broadleaf (Diamond), Corojo (Gold) and Ecuadorian Sumatra (Emerald)) – but in a 5.5” x 42 Corona Especiales vitola. They will be sold exclusively in the Mid-Atlantic region, and retail for about $7.20 per stick. The line will also be available in a 150-count crate containing 25 each of the wrapper varieties. Today’s review is for the Preferidos Diamond (Broad Leaf) edition. It features a Connecticut Broad Leaf wrapper over the existing Preferido filler blend. The sample I received displays a dark brown color with some very minor mottling. Like the previously reviewed Gold and Platinum editions, the wrapper leaf feels oily and smooth but little sheen is visible. I did notice a couple of small holes in the wrapper, which is a nitpicky point but worth mentioning. Veins are pronounced, and the coarse topography of the cigar obscures the seams. Every nook and cranny below is telegraphed through the wrapper. Overall, the pack was sound throughout, although it feels more dense than most. The unlit draw is a bit tighter than perfect for my tastes, providing significant resistance and a slightly tannic feel on the palate. As noted with the Platinum, there are some earthy flavors on the cold draw, but they are quite subdued. The unlit scent is faint, with little more than straightforward tobacco aroma. The first puffs provide some modest tingle through the nose. This may possibly be more from being on a fresh palate than the actual spice of the cigar since it fades away rather quickly. From the start, copious amounts of smoke are billowing off this cigar. Remarkably more than its brethren I’ve smoked so far. The flavor is earthy, with some of the tannic influence noted on the cold draw. By the end of the first third, a predominance of cocoa has grown and taken the spotlight away from the earlier earthiness. Unexpectedly, a bit of the initial tickle in the nose has returned as well. The cocoa is not bright and sweet, but savory – delicately walking, but never crossing, a line into the bitters of dark chocolate. In the second third of the Preferidos Diamond, these flavors will progress into something more espresso like in quality. The profile is crisp and tends to hold one’s attention with each puff. This, I believe, is where the cigar really hits its stride. It’s definitely the most enjoyable portion for me. The burn has been fairly even and controlled to this point, with a couple of minor touchups. Going into the final stretch, the draw opens up in comparison to the earlier portions, which I will assume was due to an inconsistency in the pack somewhere in the midsection. With this, the Preferidos Diamond developed into a quicker burn than earlier noted. 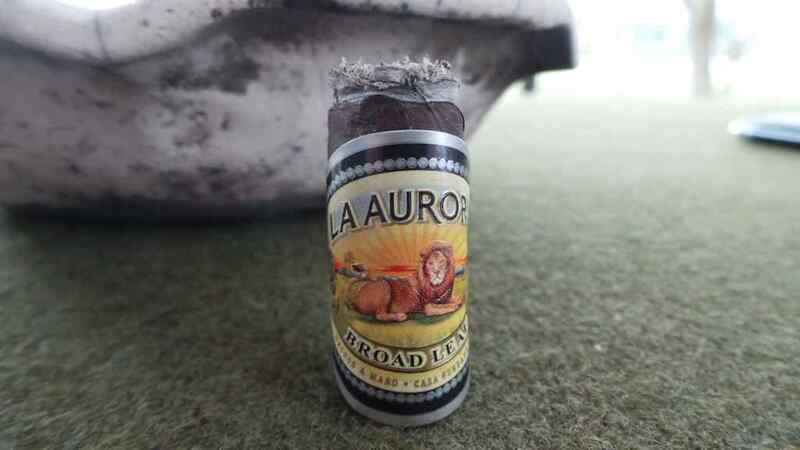 The burn also began to wander more than in the first half of the cigar. It never seriously roamed, but did require a few touchups during this final third alone. As for flavors, cocoa/coffee bean were the order of the day. In fact, it reminded me very much of chocolate covered coffee beans, with its sharp tannic “punch.” The tannins came to a crescendo toward the end, but I would still be resistant to calling it bitter, as it remained pleasant enough. The cigar wound down to a slightly ashy completion in the final moments, telling me it was spent. 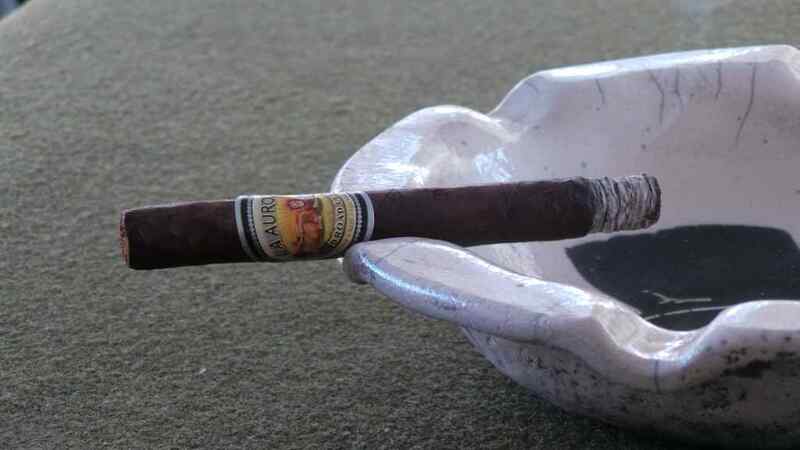 Despite some minor burn and nitpicky construction issues, the Preferidos Diamond is another solid cigar in the Mid-Atlantic regional release of the Preferidos line. While it was not my favorite of the lineup, I found it very enjoyable and wouldn’t hesitate to smoke another should the opportunity arise. For those who seek out sharp, espresso flavors in a blend I think it’s a winner. The flavor profile followed a clear progression that was interesting and entertaining, yet remained firmly within a cohesive palate family. If you are a broad leaf fan along the Atlantic seaboard, I think you’ll dig the blend.